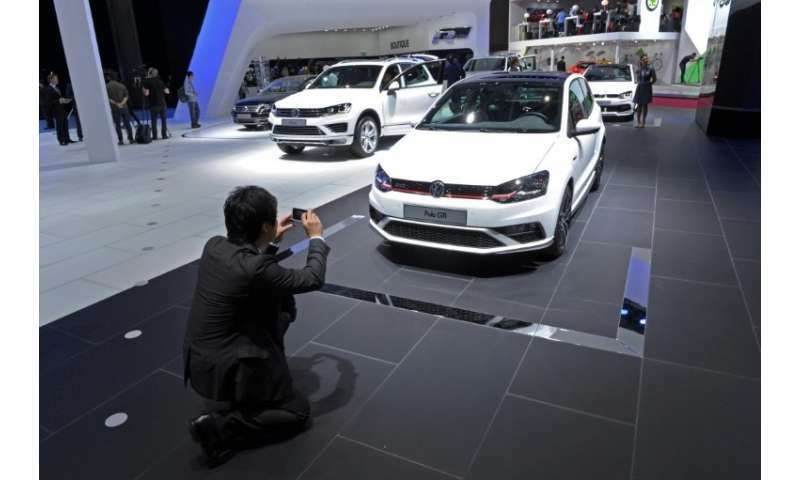 Car sales in the top European markets rose sharply in April, statistics showed Thursday, confounding fears that a slowdown in the eurozone's recovery might put the brakes on the continent's vehicle industry. "In April 2018, the EU passenger car market showed a strong return to growth (+9.6%) after demand declined in March," the European Automobile Manufacturers Association said in a statement. The Spanish car market grew the fastest—by 12.3 percent—followed by the UK at 10.4 percent, France at 9 percent, Germany at 8 percent and Italy at 6.5 percent, data published by the association showed. In total, over 1.3 million new cars hit Europe's roads in April, it added. German mammoth Volkswagen, Europe's biggest carmaker, saw its sales surge 13.8 percent despite the dieselgate emissions scandal. The group's Audi brand recorded a slight decrease in sales, though the Volkswagen brand jumped 19.6 percent. Seat—which is especially popular in Spain—saw an increase of 25.8 percent while luxury brand Porsche surged 12.8 percent. French auto giant PSA, the continent's second-biggest car manufacturer, recorded a 70 percent gain thanks to the merger of Opel Vauxhall with Peugeot and Citroen, while Renault sales rose 9.7 percent. From January to April, the European car market grew 2.7 percent, with only Britain recording a drop of -8.8 percent for the first few months of the year, in a sign that Brexit fears are denting consumer confidence in the UK. "Overall, 5,478,442 new passenger cars were registered in the EU during the first four months of the year," the association said. In 2017, the number of new cars sold in Europe had topped the 15-million mark for the first time since the 2007-8 global financial meltdown.